The average human can last up to three weeks without food. However they will perish after only three days without water. Up to 60% of the human body is water, and as water is essential to life, the quality of the water you consume helps determine your quality of life. In order to maintain a healthy lifestyle you should be aware of the type of water you are drinking. In nature, water has 3 different ways of regenerating and erasing all the pollution it contains: By evaporating and rising at a very high altitude, by slowly sinking into the ground and flowing in between rock stratas, or by simply following watercourses and rivers. It is well-known that tap water is often times polluted with a variety of toxins and chemicals that not only taste bad but can also have lasting effects on your health. Most tap water contain Aluminium, Arsenic and Fluoride. Every time you have a glass of tap water these three chemicals are being digested into your system. It has been clinically proven that these substances when consumed have been a leading factor in numerous diseases, especially damning the liver. They are also known to trigger Hyperactivity and skin problems in children. It is also a common misconception to think that mineral bottled water is completely safe and free of these damaging chemicals. It has been documented that Mineral water companies have used false and misleading advertising. It’s estimated that 40 percent of mineral bottled water is just in fact bottled tap water, which may or may have not received the additional filtration necessary for it to be pure. Even regulated mineral waters have their own drawbacks, not only is it quite expensive, but it’s also a source of millions of tons of pollution. Vero Water has become the new alternative for health conscious people who are concerned about the water that is entering their system. 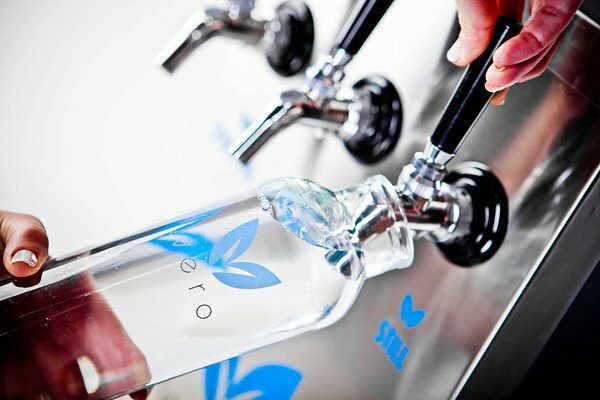 Vero water is already currently being used by famous hotel brands such as Marriott, Hilton and the Ritz Carlton. It is purified by a proprietary purification system that creates eco friendly reusable water and a high quality product your body will appreciate. Moreover, the system is very practical; you simply have to install the Vero+ water filtration system directly to your existing water source and let the machine do all the rest of the work. The water comes out clean, cold and ready to be served. Staying healthy has never been so easy!